Each set includes seven 1" (2.5 cm) tall boxes that look like miniature Shakespeare volumes. 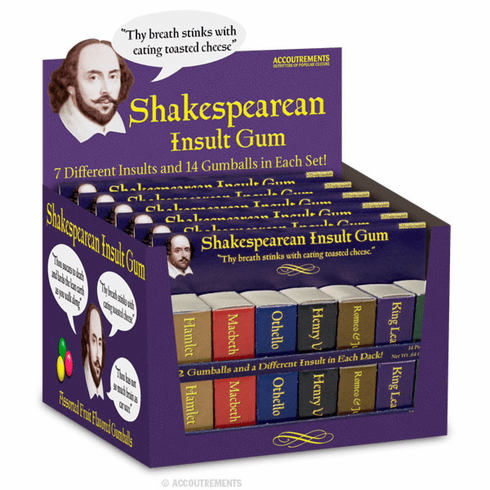 Inside each box you'll find two fruit-flavored gum balls and an eloquent Shakespearean insult printed on the inside. Sure to offend the intellectuals and confuse the dimwitted! Twelve shrink wrapped sets in each illustrated display box.